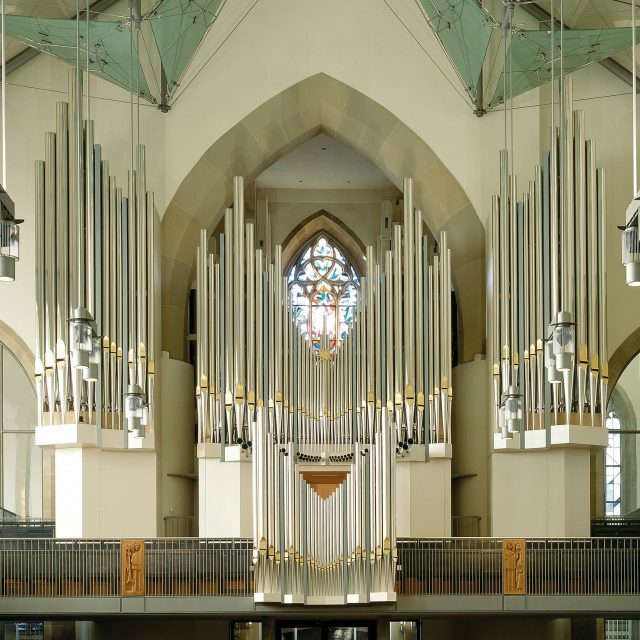 This organ was mainly built in order to inspire organists and audience comparably. Therefore the primary goal was to create unique characteristics and a very distinct sound. 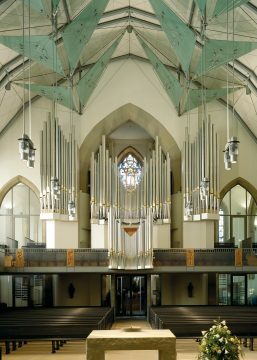 High expectations were raised by the music department of the “Stiftskirche”, the congregation, the architect and of course of the organ builders of the Mühleisen company. 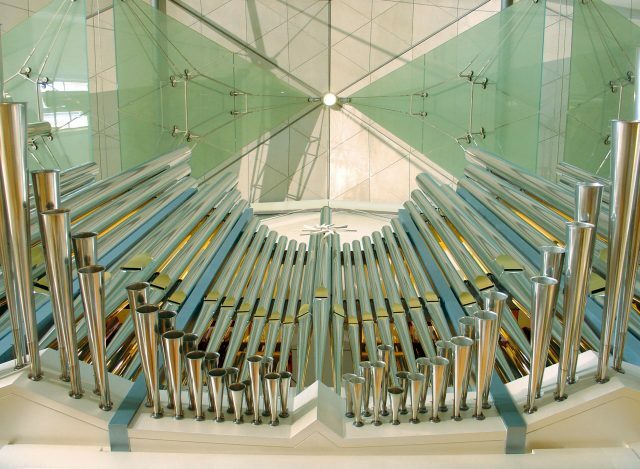 These expectations were completely met when the organ was inaugurated in August 2004. Since then the instrument has been used liturgically as well as in concerts. Various artists and sophisticated audiences love this organ for being such an inspiring work of art. Mechanische und ( für SW IV. Manual ) elektr.